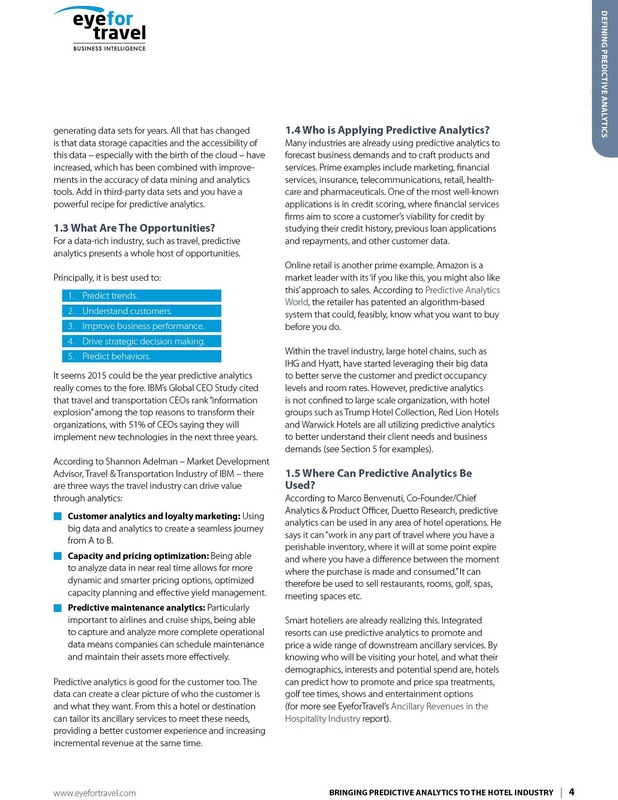 Many industries are already using predictive analytics to forecast business demands and to craft products and services. 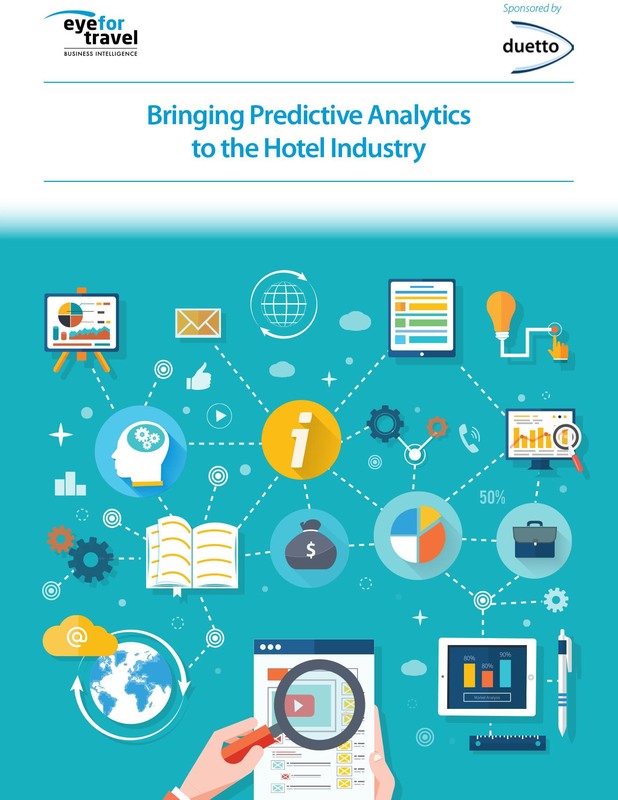 Within the travel industry, large hotel chains, such as IHG and Hyatt, have started leveraging their big data to better serve the customer and predict occupancy levels and room rates. 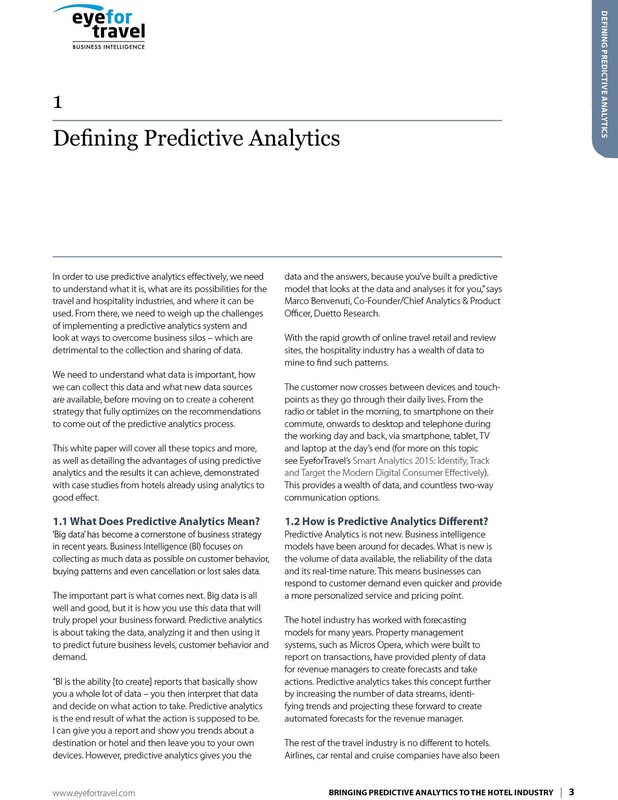 However, predictive analytics is not confined to large scale organization, with hotel groups such as Trump Hotel Collection, Red Lion Hotels and Warwick Hotels are all utilizing predictive analytics to better understand their client needs and business demands. 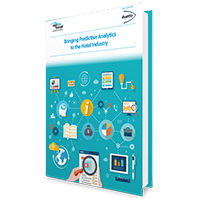 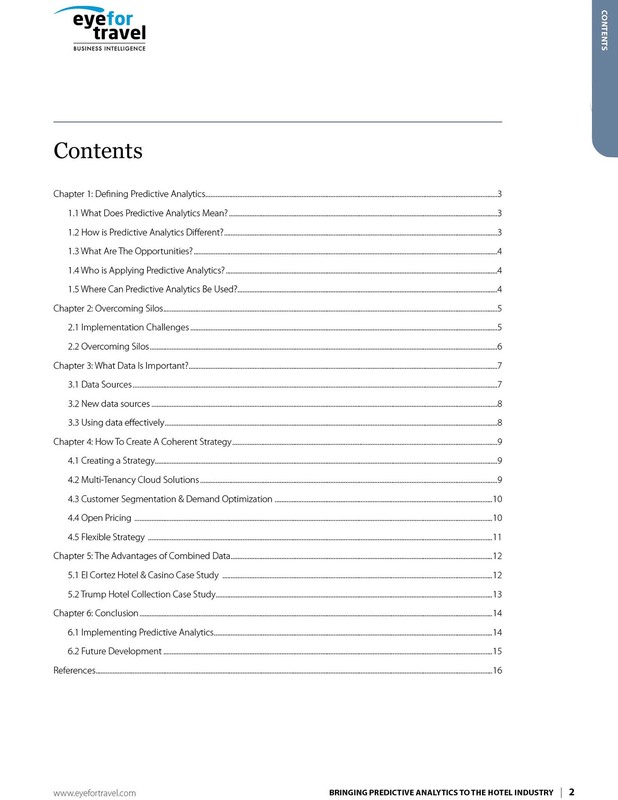 This whitepaper will explain the advantages of using predictive analytics and the results it can achieve, demonstrated with case studies from hotels already using analytics to good effect.